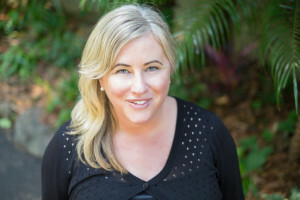 Check out of founder Terase Davidson’s latest restaurant recommendation published in local newspaper the Echo. It’s not very often that you can get authentic Mexican food outside of Mexico let’s be honest, so what a breath of fresh Mexican flavour authenticity it is to have Chupacabra arrive in the Bay! 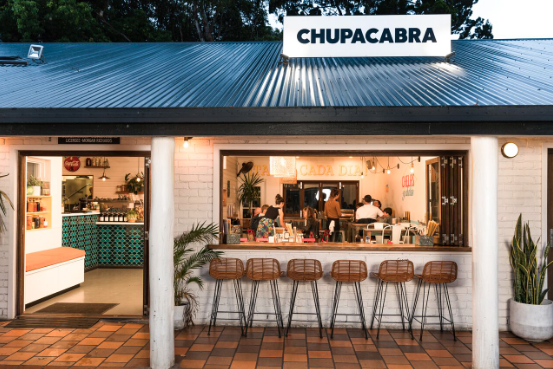 You can find Chupacabra tucked away behind the shops at Suffolk Park, with a relaxed comfy fitout offering seating inside or alfresco, that is perfect for eating out with friends, family or date nights. So what makes Chupacabra feel and taste so authentic? Well for starters let’s talk about co-owner and head chef Evan White! Evan first visited Mexico 15 year ago to live and work, giving Evan a unique insiders knowledge of how to build and balance traditional flavours, with the confidence and passion for humble eating with your hands flavours that stay true to local flavours, throughout the entire menu. 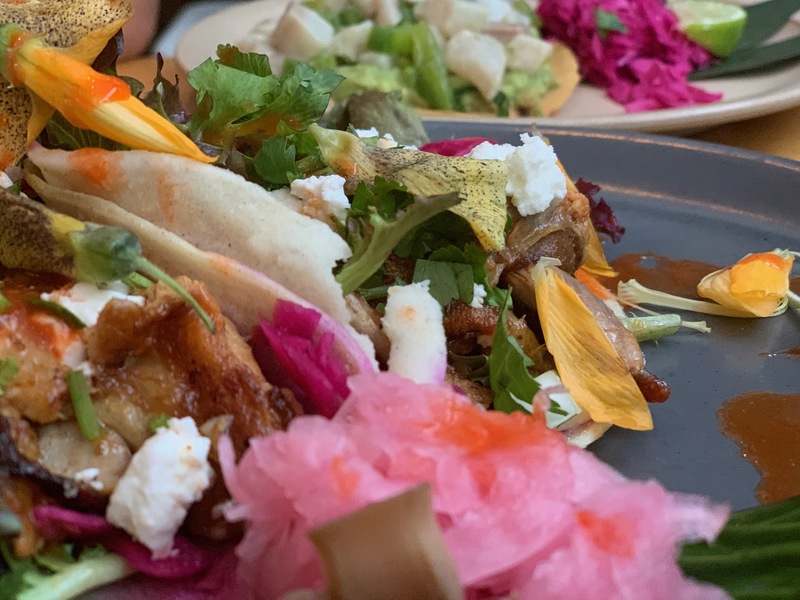 With a bunch of flavour driven Taco’s (and plenty of other goodness) on the menu it is hard to decide what to choose, but lucky for us we had the super lovely and helpful co-owner Amelia Stokes on hand to help us navigate the menu. After much deliberation, we took our tastebuds and senses for a mini Mexican holiday with the Tacos Pollo Valladolio $7 (succulent char-grilled chicken shredded w picode gallo) and Bisteck $8 (juicy Cape Byron steak, frijoles, cotija, spicy burnt onion salsa) and the most insanely tasty Esquittes, which just FYI, is what I want as apart of my last supper! Yes, yes it is really that good!! What is Esquittes you ask? It is the most insanely delicious locally grown corn flame-grilled off the cob, with lime, queso and coriander $8 (my top tip would be to order one per person because trust me you really really don’t want to share this one!). 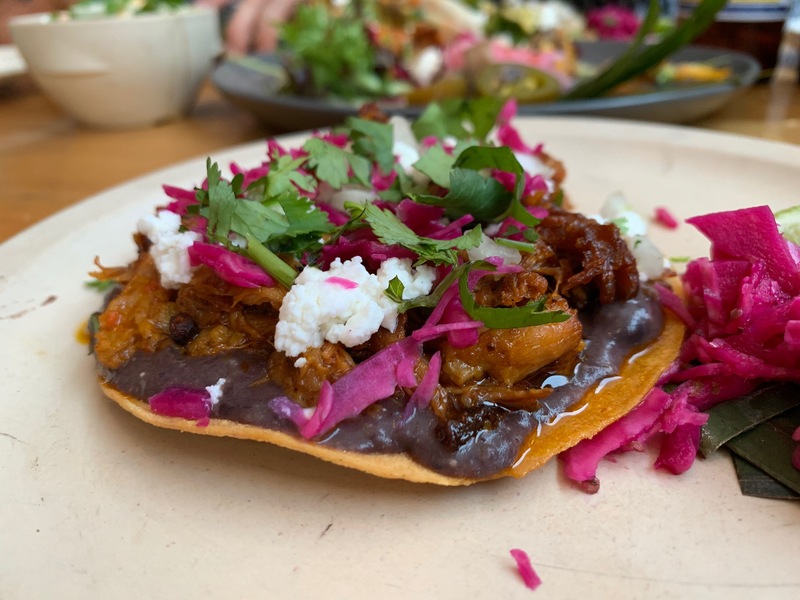 And if you’re looking for a fun and healthy mid-week dinner, these guys do $12 chook on Wednesday nights, offering charcoal chicken, grilled to perfection with a weekly salad, house-made tortilla strips and frijoles. Available until sold out! If you’re up bright and early for a New Years Day surf, swing by and enjoy a Mexican blend coffee, or simply laze in the sun out the front of Chupacabra with a fresh coconut in hand. Or if you’re feeling in need or nourishment, you can grab some oysters with home-made Cholula style hot sauce with a jar or two of over-the-top micheladas and Bloody Maria’s (that’s tequila instead of vodka). Or if fresh local prawns, buckets of beers and ice-cold margaritas are more your thang, Chupacabra with be offering this and all the summer vibes along with a DJ from 10am onwards. No bookings necessary, just turn up and get amongst the fiesta!